Editors Note: Video length does not represent actual time to bake. We don't move at super-human speed, unfortunately. ps. Special thanks to J for his cinegraphic & editing skills! I think it's nice to mix it up a bit sometimes and your video works so well!I hope you'll do more!!! i love the video! you should definitely do more, i think. 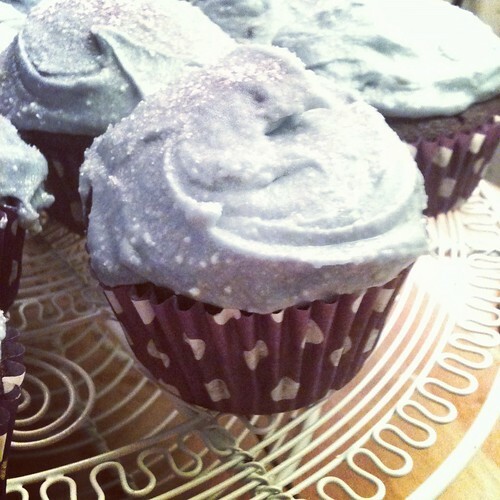 & the cupcakes looks so yummy, i need to try the recipe asap. Such a great idea! You girls are the cutest. Brilliant will do the trick for my mother in law for mothers day she loves violet creams and this is the first recipe i've found with chocolate cupcakes with violet frosting brilliant thanks!! !